In 2015, ICPRB celebrated 75 years since it’s creation. Find an interactive timeline of the highlights here. This broader timeline represents the history of water quality in the Potomac basin. Some of the Potomac’s first shad and striped bass fisheries are established by George Washington. Active fisheries also include herring. 1810 – First sewer system in Washington constructed to convey wastes to nearest stream. 1830s – It was “not uncommon to pull 4,000 shad or 300,000 herring in one seine haul. One haul of 450 rockfish with as average weight of sixty pounds was documented. Hundreds of sturgeon were captured on a single night near the US Arsenal in Washington” (Niles Weekly Register). 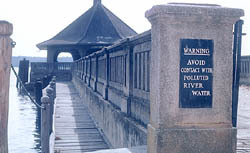 1852 – Washington Aqueduct, a division of the U.S. Army Corps of Engineers, was established by an Act of Congress. It is the water supplier for the District of Columbia. 1870 – Washington area population reaches 75,000. 1898 – First biological survey of Potomac was conducted. 1911 – Fishery surveys of upper Potomac and tributaries from 1898-1911 find 84 species of fish. 1916 – Potomac Estuary survey notes that submerged aquatic vegetation (SAV) covers the Potomac, except for the central channel, along both banks. 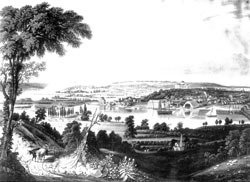 Various reports indicate that extensive beds of SAV were the “natural” condition of the Potomac in the nineteenth century. 1930 – Washington Suburban Sanitary Commission (WSSC, Prince George’s and Montgomery counties) connects its sewer system to DC’s. 1932 – Untreated wastes from metropolitan area population of 575,000 are flowing into the Potomac. Bacterial contamination forces closing river for swimming from Three Sisters Island to Fort Washington. Low dissolved oxygen levels between Geisboro Point and Fort Foote endanger fishery. 1938 – Blue Plains waste water treatment plant (WWTP) is completed, with a capacity of 130 million gallons per day (mgd) – primary treatment. 1940 – Congress gives its consent to the states of Maryland and West Virginia, the commonwealths of Pennsylvania and Virginia, and the District of Columbia to enter into a Compact providing for the creation of the Interstate Commission on the Potomac River Basin (ICPRB) and the Potomac Valley Conservancy District. 1943 – The Commission publishes its first report on the condition of basin waters. 1945 – ICPRB adopts a pollution abatement program, and publishes the first edition of its News Letter. • Pennsylvania passes the nation’s first law that puts limits on acid mine drainage pollution to streams. 1946 – ICPRB defines a set of “Minimum Water Quality Criteria” by which means Potomac streams and waterways may be judged suitable or unsuitable for several principal water uses. • Virginia creates a State Water Control Board. • The Pennsylvania State Chamber of Commerce forms a Stream Pollution Abatement Committee, and the state begins the planning phase of sewerage construction. • ICPRB completes an intensive survey of industrial pollution. 1947 – Maryland’s Water Pollution Control Commission is created. 1949 – Conditions on the Shenandoah have “radically” improved since a year ago; credit is given ICPRB for its coordination with local authorities. The WV Board of Health is created with responsibilities for sewage disposal. 1950 – Twenty Soil Conservation Districts have been established to cover 98 percent of the Potomac watershed. 1953 – The Federal Water Pollution Control Act is extended. 1954 – ICPRB issues a major report describing the polluted Washington area Potomac and publishes the results of a study it sponsored on North Branch industrial wastes. • The regional WWTP concept is instituted with the signing of an agreement between DC and the WSSC. 1955 – Congress directs the U.S. Army Corps of Engineers (USACE) to study the North Branch. • WRC-TV (Washington, DC) telecasts the first installment of the “Our Beautiful Potomac” series, which reveals the Potomac’s poor condition. 1956 – Wastes from raw and partially treated sewage of Washington, DC’s population is double that of 1932. • Federal legislation is passed that extends and strengthens the Water Pollution Control Act. • The new Alexandria, Va., waste water treatment plant goes into operation, and is heralded as “the only … plant ever built in the Washington metropolitan area that has been adequate at the time of its completion…” • The Rock Creek Watershed Association is organized. • Under the auspices of ICPRB, a group of citizens organizes the Citizens Council for a Clean Potomac. 1957 – The U.S. Public Health Service declares the Potomac River unsafe for swimming. • The first Potomac Enforcement Conference is called. • The first waste water treatment plant on the North Branch is completed in Cumberland, MD. • ICPRB estimates that on the average, 60 million cubic feet of sediment is deposited annually within the metropolitan Washington reach of the Potomac estuary. • The first National Water Quality Sampling Station is put into operation on the Potomac at Great Falls. 1958 – The (1957-58) Potomac Federal Enforcement Conference sets goals, among them secondary treatment for Potomac treatment plants. 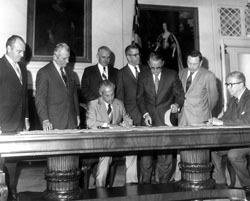 • Maryland and Virginia sign the Potomac River Compact of 1958, and establish the Potomac River Fisheries Commission. • ICPRB is now gathering and tabulating information from about 85 stream sampling stations operated by cooperating agencies, municipalities and industries. 1959 – ICPRB publishes its first “Potomac River Water Quality Network;” it holds a “first-of-its-kind” silt control conference and sponsors a study of sediment sources in the basin with US Geological Survey (USGS). • D.C. and Fairfax County, Va., sign an agreement for Blue Plains to treat a part of the county’s wastes. Secondary treatment is added at Blue Plains. 1960 – The Metropolitan Washington Regional Sanitary Advisory Board is established. Work begins on a plan to separate DC’s combined sanitary and stormwater sewers. The Upper Potomac River Commission treatment plant in Westernport, MD, begins operation; it is designed to clean up pollution in the North Branch Potomac. 1961 – DC installs the first fully automatic stream sampling and recording device on the Potomac. 1962 – The Potomac River Fisheries Commission begins operations. A comprehensive metro Washington area sewage disposal report is issued. 1963 – ICPRB issues two reports on sediment sources and an urban sediment control program. • The USACE publishes a comprehensive plan of development for the Potomac, which calls for 16 major dams. Ultimately, only two dams were built. 1964 – The Potomac Interceptor, tying northern Fairfax County and parts of Loudon County, Va., and Montgomery County, Md., to the DC Blue Plains plant, is christened with its first sewage flows. 1966 – The Federal Inter-Departmental Task Force on the Potomac issues its report to the President. It proposes the Potomac National River and makes recommendations. • The Clean Water Restoration Act passes, increasing grants for research, state programs, and construction of waste water treatment plants. • Virginia undertakes the task of defining its river basins and planning water resource development and management. • Pennsylvania begins long-range sewerage planning. 1968 – Chlorination of the Washington area waste water treatment plant effluent begins. • D.C. engages a firm to study Blue Plains development. • The USACE issues a new report: six (instead of 16) major reservoirs are proposed. 1969 – The earlier Enforcement Conference goals have not been met: the river is described as “a severe threat to the health of anyone coming into contact with it.” A new Enforcement Conference is called, mandating the degree of treatment, capacity for growth, and regional commitments. • The Mason Neck Wildlife Refuge is established. 1970 – ICPRB’s Compact is amended, extending its authority to include water supply and water-related land use. • D.C. passes erosion control legislation. • Maryland enacts a sediment control law, installs the Maryland Environmental Service, creates the Wetlands Act of 1970, and imposes a ban on sewer extensions affecting the five drainage basins under the jurisdiction of the WSSC. • Virginia sets up a state construction grant program, imposes a moratorium on new sewer hookups in Fairfax County, and approves a Potomac-Shenandoah water resources plan. • Metropolitan Washington local jurisdictions sign a Memorandum of Understanding, agreeing to expand Blue Plains to 309 million gallons per day and allocating additional capacity and local share of costs. • The U.S. Environmental Protection Agency (EPA) is established. 1971 – The D.C. Council prohibits water contact sports in the Potomac, Rock Creek, and the Anacostia River. 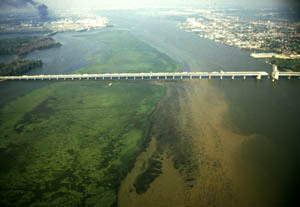 Urban sediment is a major concern. 1972 – The Federal Water Pollution Control Act Amendments (Clean Water Act, or CWA) are passed by Congress, establishing a national goal of “swimmable-fishable” waters. • Pennsylvania passes a sediment control law. 1973 – This summer, fewer algae blooms arrive later.• A suit is initiated in Federal District Court by the Virginia State Water Control Board against WSSC for overloading the Blue Plains plant. • Virginia’s Erosion and Sediment Control Law is passed. 1974 – A Blue Plains agreement allocates flows and sludge disposal responsibilities; a trial program of phosphorus removal begins. 1975 – An ICPRB conference focuses on rising dollar and energy costs associated with D.C. metro area sewage treatment. • Congress authorizes a five-year study of the Chesapeake Bay. 1976 – Pleasure boaters rediscover the Potomac • Largemouth bass reappear in Washington, DC. • There is a noticeable lack of blue-green algae mats that had covered the upper estuary a decade earlier. 1977 – The Federal Surface Mining Control & Reclamation Act is passed. • Blue Plains advanced secondary treatment expansion is operational. • Mercury is discovered in sediments and fish in the Shenandoah River. • The federal Clean Water Act is revised to strengthen control on toxic pollutants and to allow states to assume more regulatory responsibilities. 1978 – The first annual Potomac Raft Race is held. • A full-time fishing guide begins working the Potomac. • The USGS begins annual submerged aquatic vegetation surveys. • The Low Flow Allocation Agreement is signed by USACE, Md., Va., D.C., WSSC, and Fairfax County; it is the first significant example of multi-level co-operation for water resource management in the Washington area. 1979 – River improvements result in an interest in permitting some contact sports in the metro Washington Potomac once again. 1980 – Secondary treatment is achieved at all local waste water treatment plants. Some fish are caught below Keyser, WV, indicating improving conditions on the North Branch. A Shad fishing ban is initiated. 1981 – Approximately 100,000 persons attend “The Awakening,” a week-long event celebrating a cleaner, fishable Potomac on the Mall. The first Potomac River festival in DC is held. MWCOG recommends phosphate detergent bans. 1982 – The Potomac River Basin Consortium is established. SAV begins to return to the tidal Potomac. Striped bass fishing restrictions are initiated. 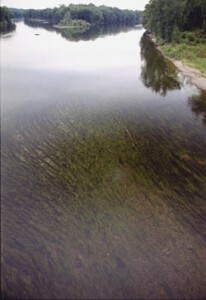 Small beds of hydrilla are discovered in the upper tidal river. 1983 – The EPA Chesapeake Bay Study is completed. A Chesapeake Bay Agreement is signed. ICPRB initiates discussion of hydrilla problem. 1984 – Northern Virginia waste water treatment plants voluntarily impose a phosphorus limit. The Blue Plains feasibility Study recommends the expansion of Blue Plains. MD and DC sign the Anacostia Watershed Restoration Strategy Agreement. A metro Washington regional sludge disposal agreement is reached. MWCOG organizes first coordinated Anacostia watershed monitoring program. DC organizes its first fisheries management program. VA passes a dechlorination initiative. 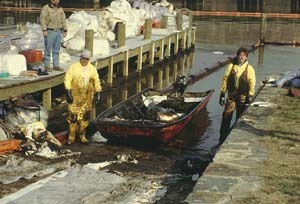 1985 – MD initiates a phosphate ban and a striped bass moratorium. 1986 – All major waste water treatment plants in the metro Washington area have achieved phosphorus removal. DC initiates a phosphate detergent ban. SAV distribution is now 3,600 acres. Mechanical harvesting of hydrilla is initiated. Avtex on the Shenandoah River is listed as an EPA Superfund site. 1987 – The Clean Water Act is revised. The second Chesapeake Bay Agreement is signed. Anacostia Watershed Restoration Committee (AWRC), consisting of DC, MD, Counties of Montgomery and Prince Georges in MD, and the USACE, is formed. A cooperative agreement to develop a plan for acid mine drainage abatement is signed by WV and MD. A basin-wide phosphate detergent ban is recommended by ICPRB. DC fishing regulations are put into effect. Maryland declares Savage River a Trophy Trout Stream. 1988 – Blue Plains starts removing chlorine. A survey finds 78 species of fish in the metro Washington Potomac. VA initiates a phosphate ban. The [second] Anacostia Watershed Restoration Agreement is signed. The First Maryland International Canoe/Kayak Classic is held on Savage River. DC issues fishing licenses. The DC swirl concentrator is dedicated on the Anacostia. 1989 – MD finds dioxin in North Branch fish. Potomac region has complete striper moratorium. PCBs are found in Shenandoah fish. PCBs and chlordane are found in DC fish. Canoe/Kayak World Championships are held on Savage River. 1991– AWRC adopts Six-Point Action Plan for the restoration of the Anacostia River. 1992 – 1992 is declared by President Bush as the “Year of Clean Water”. Chesapeake Bay Program sets nutrient reduction goals for Potomac and other bay tributaries. water quality to the North Branch. 1995 – Survey by USGS reveals that SAV have grown in some areas of the Potomac and declined in others. 1996 – ACE, MD, and WV begin study to evaluate measures for restoring North Branch. DC issues its Anacostia River Toxics Management Action Plan. 1997 – The Potomac Headwaters Land Treatment Watershed Project is initiated, providing WV farmers with federal and state funds for implementation of water quality protection measures. 1998 – Federal Clean Water Action Plan is initiated, emphasizing a watershed approach to restoring the nations waters. MD passes Water Quality Improvement Act to address the problem of nutrient pollution. Potomac River is selected as an American Heritage River. 2000 – Chesapeake 2000 Agreement is signed. ICPRB turns 60 years old. 2001 – The ICPRB project, the Tidal Potomac Integrative Analysis Project combined decades of data into a consistent and usable format for researchers and those working on the watershed. 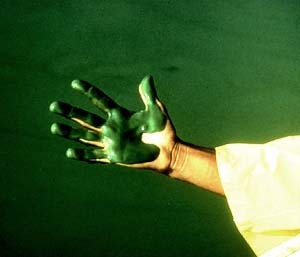 2002 – The Clean Water Act turns thirty and President Bush declares 2002 the “Year of Clean Water”. 2002 – The successful American Shad Restoration Project is completed, restoring the population of this historically significant fish that once flowed freely in the Potomac but had been decimated by pollution, overfishing, and blockage over the past century. 2004 – Along with other partners in the basin, the Commission organizes and leads the formation of a voluntary partnership between water utilities and state and federal agencies known as the Potomac River Basin Drinking Water Source Protection Partnership which will focus on protecting the water quality of the river as the source of drinking water for millions of people that live in the basin. 2004 – The invasive northern snakehead fish were found in the metropolitan region of the Potomac River. 2005 – The Antietam Creek Watershed Alliance (now called the Antietam-Conococheague Watershed Alliance) was formed, focusing on trash clean up, restoration projects, and public education. 2006 – The Captain John Smith Chesapeake National Historic Trail is established, following the historic route the explorer took in the early 1600’s. 2008 – ICPRB develops an index of stream health known as Chessie BIBI. It is calculated from stream macroinvertebrate samples collected and counted by state, federal, and local agencies and other groups. 2008 – One of the first of its kind, a trash Total Maximum Daily Load (TMDL) is created in the larger Maryland portion of the watershed. 2009 – Washington, D.C., passed a law requiring shoppers to pay $0.05 per plastic bag. In just one year, it reduced the number of plastic bags used by 80%. 2010 – A source of pollution in lakes and rivers, Virginia and Maryland ban phosphates in dishwasher detergent. 2011 – Scientists at ICPRB conduct a survey of freshwater mussels in the mainstem of the River. These sensitive creatures are good indicators of a healthy waterway. Having baseline information can help determine the future shifts in water quality. 2014 – A stand of the invasive water chestnut plant was found in Virginia’s Belmont Bay. After being surveyed by USGS and ICPRB, the Virginia Department of Game and Inland Fisheries organized a group of volunteers to manually harvest the plants. 2014 – The Chesapeake Bay Watershed Agreement was signed. This plan for collaboration across the Bay’s political boundaries establishes goals and outcomes for the restoration of the Bay, its tributaries and the lands that surround them. 2015 – ICPRB celebrates 75 years!